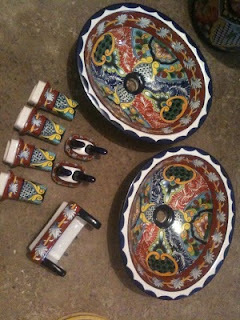 Back in January we ordered Talavera ceramic sinks and accessories for the house we will be building in Atenas this year. 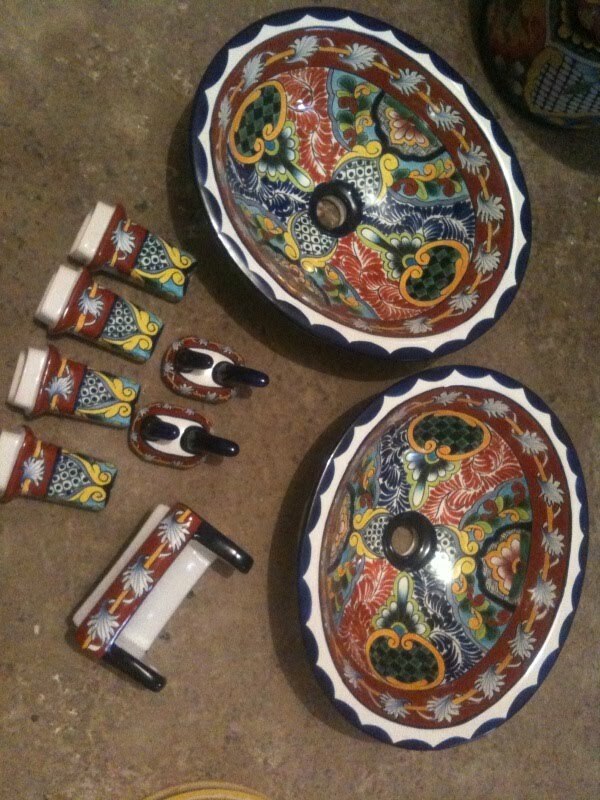 The ceramic artist in Hidalgo, Mexico, just finished our custom order and sent a couple of photos of the finished products. The Cenefa pattern will be in our master bath. 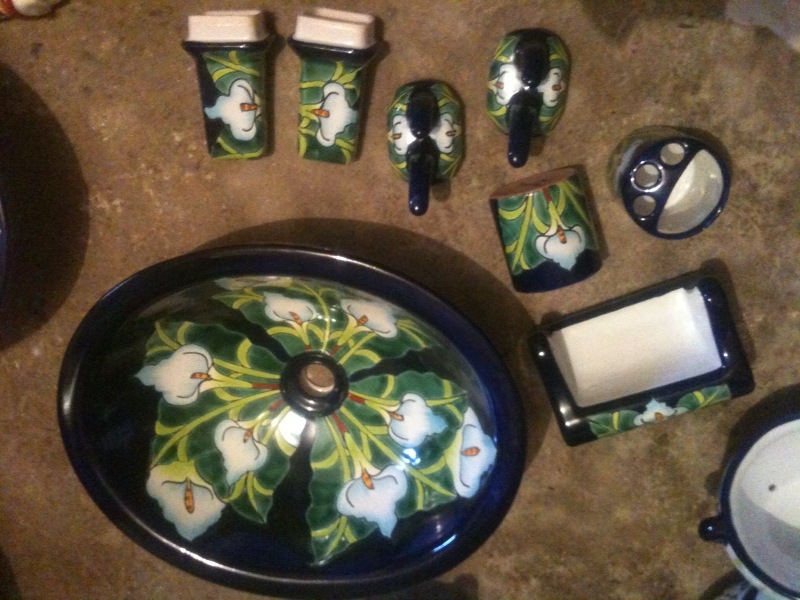 The Calla Lily pattern is for the guest bath.